Today I welcome Jane Kelly, author of several books set in and around Philadelphia, PA, and south Jersey. She’s also very active in Mystery Writers of America. I first heard Jane speak on a panel at Malice Domestic, an annual conference for readers and writers of mysteries. She and I have kept in touch since then, and I’m honored that she’s here for an interview today. Let’s start by talking about your new book. What’s the title and what’s it all about? 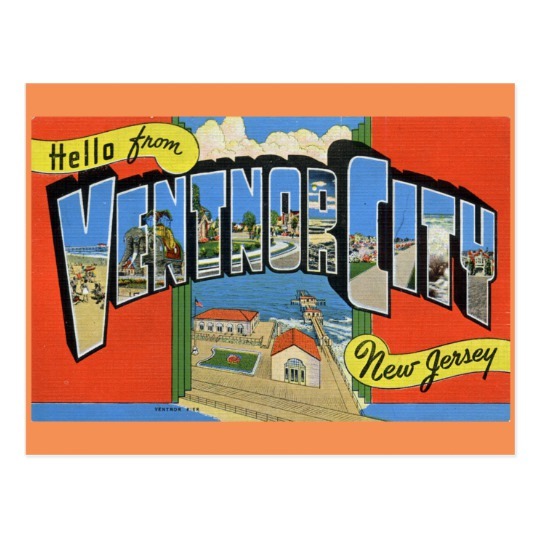 My amateur sleuth, Meg Daniels, visits another shore town in Greetings from Ventnor City. After her successful mission in Missing You in Atlantic City, she finds herself viewed as somewhat of a missing persons specialist—as well as an expert in the 1960s. Reluctantly, she reaches back to 1968, a very different 1960s from the 1964 of the Atlantic City book, to locate a Ventnor college student who has not been seen since a day of protests at the Miss America pageant. She takes along a new, temporary, investigating partner, a rock star who aspires to see how the other 99% lives. Tell us a little about your other books. Killing Time in Ocean City, Cape Mayhem and Wrong Beach Island are light mysteries. I always call them polite and warn people, if they like blood and guts, my books are not for them. My amateur sleuth solves crimes in New Jersey beach towns where visitors do not expect trouble. Missing You in Atlantic City is the first book that adds a historical element when Meg takes on a cold case. I also have written books featuring different sleuths set in Philadelphia that I published as e-books for Kindle only. The Writing in Time series deals with cold cases set against the backdrop of significant moments in Philadelphia social history e.g. the September Swoon of the 1964 Phillies. I have only written the first of the Widow Lady series that starts out in 1960 in a neighborhood much like the one where I grew up. Tell me about your inspiration for Meg Daniels, the main character in your New Jersey beach towns series. I started reading female sleuths in the 1980s: Sue Grafton, Sara Paretsky, Marcia Muller. I especially loved Carole Berry’s books. 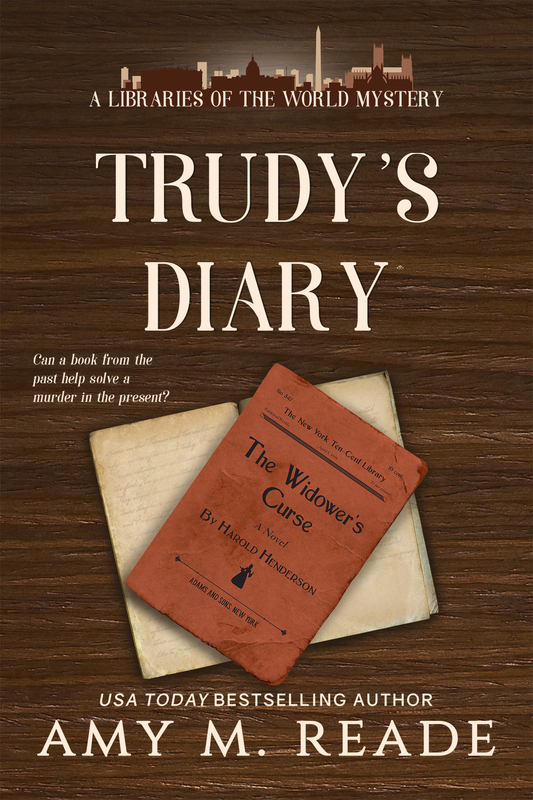 Her amateur detective was an office temp, whose lack of investigative credentials made me wonder if I could overcome my own lack of technical knowledge and create an amateur detective. Do you spend time at the Jersey shore? What are some of your favorite places to visit? When I was a baby, my family always spent the summer in Wildwood Crest, but my mother protested that everyone else got a vacation and she just moved her job. So after the age of three, I never again spent the entire summer at the shore. For several years, my parents would take me to a very elegant guest house in Ventnor where my mother could relax. In the winter, my father, a fair-skinned redhead, would take us to Atlantic City for winter weekends. As I got older, my Philadelphia classmates often got to bring ‘a friend’ with them on vacation. So I became a ‘friend’ and spent time in many different locales: Ocean City, Cape May, Long Beach Island, Stone Harbor, Strathmere, Sea Isle City. Even different areas within each locale. So, I love revisiting all these locales—at any time of year. My favorite spot? I love the Oyster Creek Inn in Leed’s Point. No matter how often we go, my friends and I always take pictures. We age, but the scenery stays gorgeous. I wish I had a typical day. I once set up a daily regimen that started with a brisk walk. On the first day, I took the walk, came home and slept for three hours. I abandoned that routine, but no matter what I have to do on any day, I make sure I write first. Can you tell us something about Meg Daniels that the rest of the world doesn’t know? She shares everything with her readers. They have full access to her internal dialog, but there may be some aspects of her past that she hasn’t revealed yet. Not even to me. What is the hardest thing about writing, in your opinion? I love writing. I adore editing. But putting the story together in a clear and well-paced order is the most challenging aspect for me. I read a lot of non-fiction, mostly Cold War history and memoir. Right now I have two fiction projects: 1) to reread classic mysteries, and 2) to read the books of the writers I meet. I am horribly behind on both. I also love older romantic comedies from the era when I was the same age as the characters. I would love to hang out with the crowd in Notting Hill. What advice would you give your twenty-year-old self? I can only say what I aspire to be. Open-minded. Humorous. Kind. Are you in a writing group or a critique group? No. I am afraid of them. Always have been. I think I would be too easily discouraged. On the flip side, I don’t feel qualified to give advice. I know what I like but I don’t believe that makes it right. Is there anything I didn’t ask that you wanted me to? Want to meet for lunch sometime? Definitely! You name the time and place. Thanks so much for being here today, Jane. I’ve been sending you all over the web the last couple of weeks, so today you get a break. You can stay right here and read my rant about kids and electronics. As you may know, I have three children. When they were infants, then babies, then toddlers, then school-aged, I read to them constantly. I continued to read to them as they got older, probably long past the time when many parents stop reading to their children. I loved reading to them. But something else happened as they grew older–they started to spend more time on their electronics than reading books. And by electronics I mean anything that can be plugged in or has a battery. This list includes, but is not limited to, television, DVD players, computers, video games, tablets, cell phones, and personal electronics of the iPod variety. I understand that my husband and I are at least partially responsible for this (when the electronics are on, the kids aren’t interacting. No interacting means no fighting and the lure of peace and quiet is just too much to resist sometimes), but we’re not going to accept full blame. We still encourage reading every single day, but the kids are old enough now to be making decisions for themselves. And they are choosing, to our great dismay, to spend time on electronics instead of with books. Raise your hand if you remember spending summers as a kid playing outside and spending all your indoor time with your nose stuck in a book. Sadly, for our family as well as for many, many other families, this just doesn’t happen anymore without a great deal of argument. The kids want to play games on the tv or the computer or their handheld devices. They want to read the latest funny Tweets and the latest gruesome food challenges that somebody has dreamed up. In all fairness, I don’t like to spend tons of time outside in the summertime because it’s just way too hot and humid. And my kids don’t like the beach, which is just a couple minutes away and to which almost every other family in our area flocks in the summer. So we’re a bit stuck indoors sometimes, and I’m okay with that. But what happens when we’re stuck indoors? Inevitably someone wants to turn on some electronic and spend hours upon hours with his or her face glued to an LED screen becoming visibly dumber. So we’ve instituted electronic-free days in our house. We’re having one today (electronic-free does not apply to my husband or to me, since we’re both working, but it might be an interesting experiment). I must admit, it’s not going well. My husband and I are both working, so the kids are fighting like cats. I have been tempted at least eight thousand times to let them back on their electronics just to get some work done. But I work through the noise and try to get them to solve their own problems, and we continue to have the electronic-free days because I am convinced that eventually they will do something with their time that is creative, imaginative, and fun. A friend of mine has a rule at her house–if one of her sons wants to play an electronic, he is allowed to play for 15 minutes after he has read for 20 minutes. I think it’s a great idea; we may institute it in our house. There are other things we can do to keep the kids off electronics, too. My son went to Boy Scout camp for a week and had fun. One of my daughters will be a camp counselor for a week in August. One of my daughters has a job that keeps her busy during the days. We try to do things outside when it’s not too hot, like bike riding and going for walks. And there’s always my favorite solution: read a book!! I am constantly offering to take them to the library. In fact, they’ve taken me up on today’s offer and we’re leaving as soon as I’ve written this post. But I’m always looking for new ideas. What about it, readers? Any good ideas for keeping the kids off electronics during the summer?